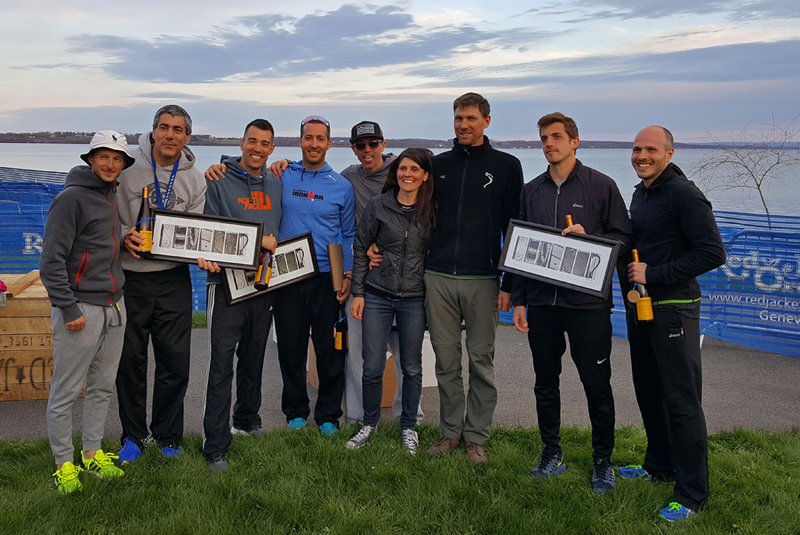 Team: Liar, Liar, Feet on Fire 2016 Seneca 7 overall winner. 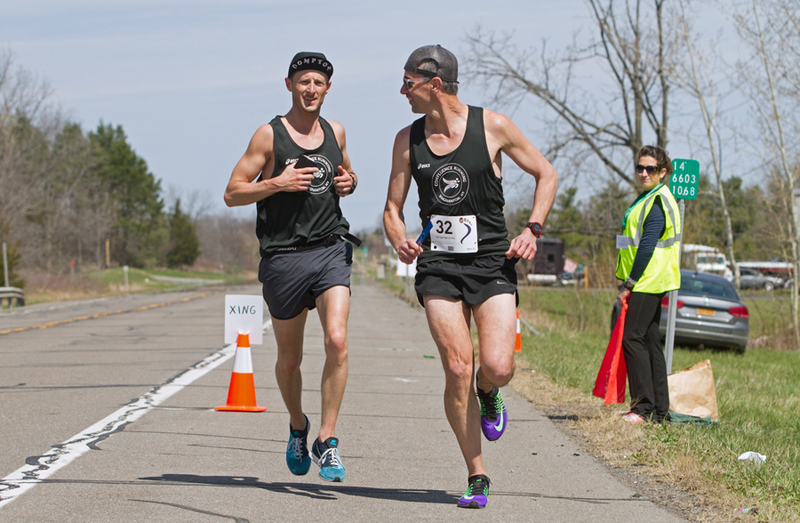 On April 24th our team “Liar, Liar, Feet on Fire” took part in my favorite race, the Seneca 7. For those of you who don’t know about this race I’ll briefly explain. 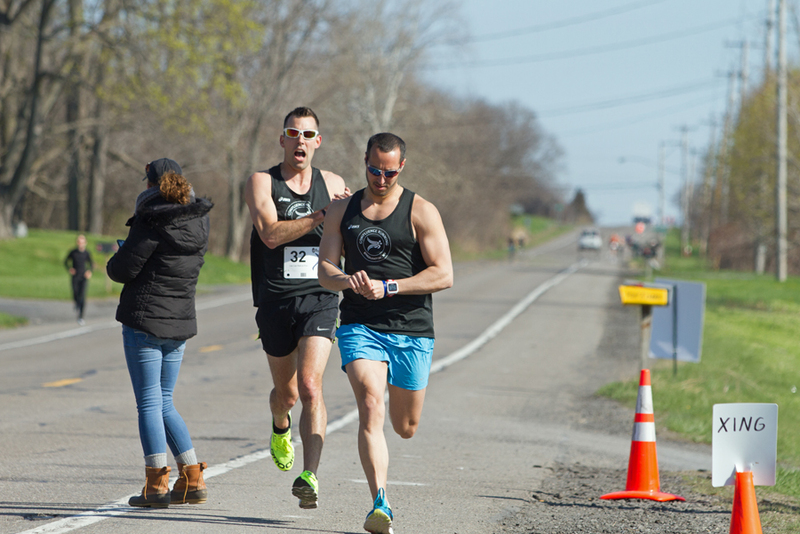 The Seneca 7 is a 77.7 mile relay race around beautiful Seneca Lake in New York’s Finger Lakes region. This year 281 teams consisting of 7 runners each took part. 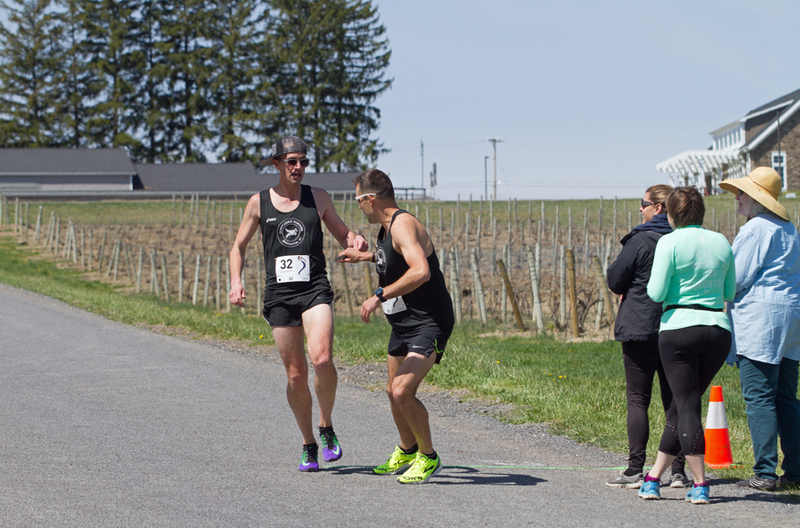 Each runner on a team is required to run 3 times during the event. Each leg varies in distance but does not exceed 6 miles. On the morning of the race I woke early as the sun began to rise over Seneca lake as I had an amazing view from my hotel room in Geneva, NY. Two other teammates of mine had crashed with me as well and the others scattered in hotels in the area. The race start waves began at 0630 with the last wave going at 0900. We all met up at the starting line area around 0800 for our 0900 start (9:02:35). Aaron who was our first runner anxiously awaited the gun. A-Aron as we like to call him got the fire started quickly and the day just continued from there. We would arrive at the halfway point in the race at 12:50PM and begin our northward trek up the east side of the lake. 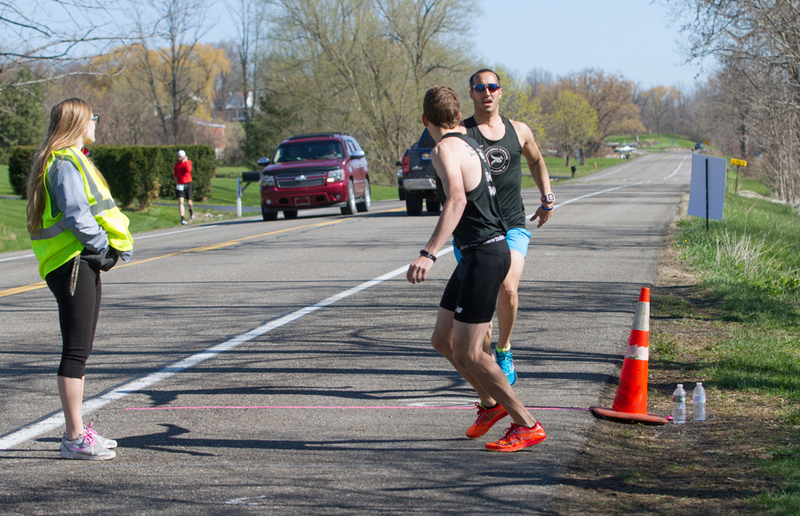 We crossed the finish line back in Geneva at 5:08:10 encircling the lake in 8:05:35 for a daily pace of 6:14 per mile securing the 1st place overall winner of the 2016 Seneca 7. To say we were excited might have been an understatement. I myself was personally humbled by the days event. In the end we ran hard, we had a lot of fun along the way but most importantly we ran as a team of friends who share a passion for running. I’d like to extend a HUGE thank you to all who cheered for us, congratulated us and supported us, you all are amazing and I appreciate you!!!!!!! 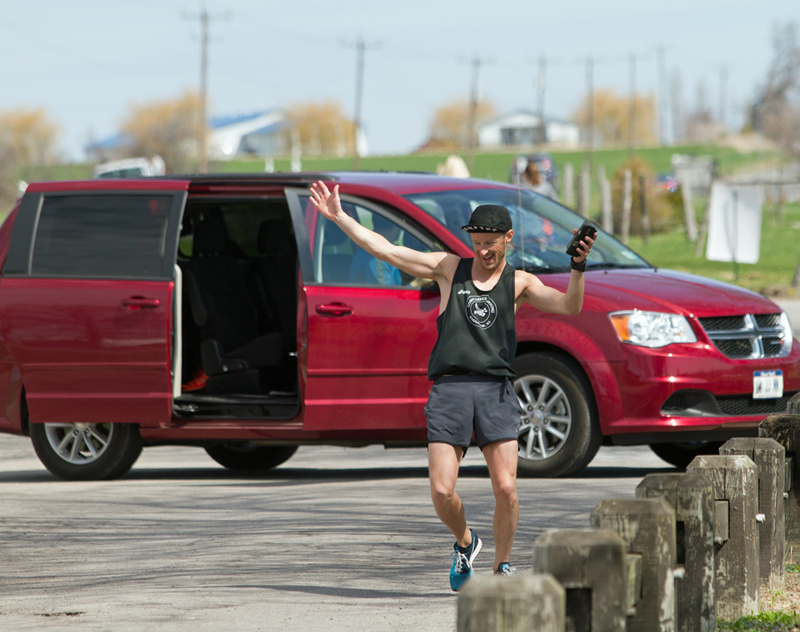 A great big thank you to Seneca 7 race directors Jackie Augustine & Jeff Henderson and all who took the time to volunteer for another amazing race. https://youtu.be/HX7ir8VQ-lE Take a peak at Ryan’s dance moves! 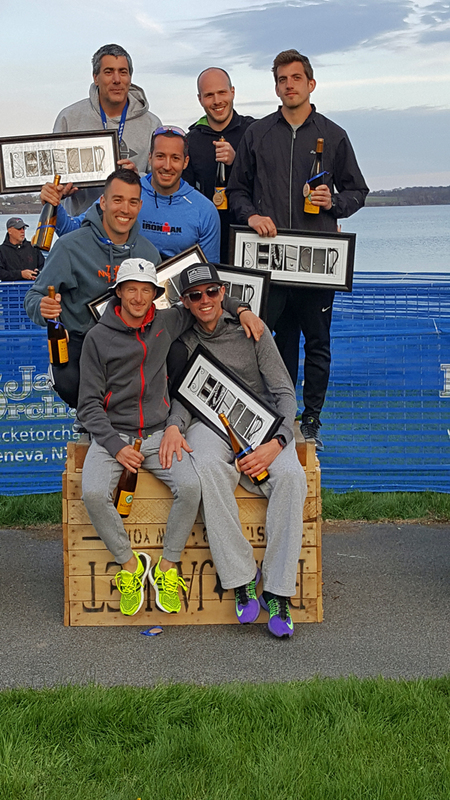 L-R: Ryan Heinlein, Joe Geronimo, Aaron Perry, James Wilson, Dan Cavlari, Race Directors: Jackie Augustine & Jeff Henderson, Adrian Milisavljevich & Jordan Varano. Aaron Perry handing off to James Wilson. James Wilson handing off to Adrian Milisavljevich. Ryan Heinlein handing off to Dan Cavalari. Jordan Varano handing off to Ryan Heinlein. Joe Geronimo, left, waiting for Adrian Milisavljevich. Ryan Heinlein having some dancing fun at one of the exchange points. Dan Cavalari handing off to Aaron Perry. What a great collection of fantastic looking legs! Love the story and pics of all of you but most of all I am so proud of your accomplishment in coming in first and luv you for your dedication and success. We work hard at that John!